The Shadows story begins when Ash and Bailey bought a house in the Blue Mountains, dedicated fir music. The house has become a place for songwriters, musicians and touring bands to come, be inspired, collaborate and be immersed in the Mountains culture. In 2011 Liam and Jordan joined the band which has helped craft the sound that is evident in their debut EP ‘Love & Logic’ which was released in 2012. 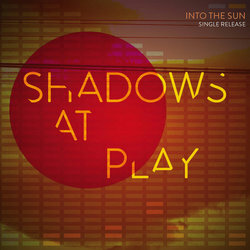 Shadows A Play are a multi-instrumental four piece with guitars, ukes, harmonica, trumpet, piano, and drums which shape their folk/rock sound. 'Into the Sun' is an upbeat, ethereal folk song for the modern ears - a primal sound drives a lyrical journey, alluding to the Greek mythological story of Icarus, exploring the notion that a man is free only once he is defeated.